If you've been following the slipper orchid scene for a while, you've probably noted in recent decades the regular appearance of new slipper species. The 1980's were a blockbuster decade for slipper introductions, especially from China and Vietnam, including five extraordinary species: armenicacum (1982), micranthum (reintroduced 1982), malipoense (1984) and emersonii (1986) and henryanum. 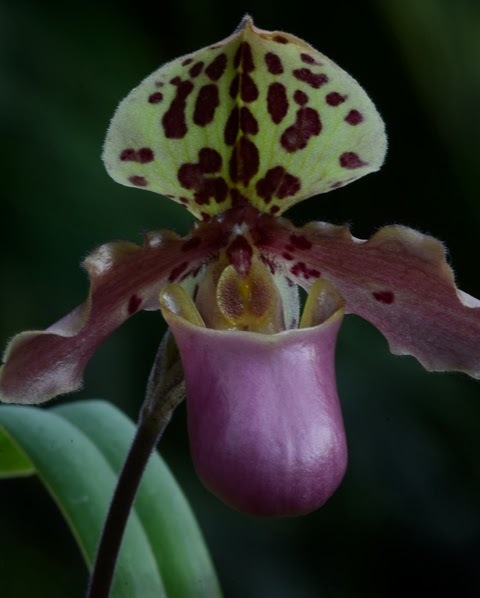 Paphiopedilum henryanum was described in 1987 by Guido Braem, based on one of a number of plants brought to Europe by Henry Azadehdel, after whom the orchid is named. New slipper orchid discoveries are often followed by commercial exploitation of natural populations. If Azadehdel’s name sounds familiar, perhaps you remember the media coverage surrounding his conviction on CITES (international laws restricting trade in endangered species) violations in British court in 1989. He was arrested at Heathrow airport carrying thirteen Phragmipedium besseae, a South American slipper species discovered in 1980, (and at the time protected by CITES appendix ii) in his luggage and without the required CITES permits for exporting or importing them or phytosanitary certificates. He was sentenced to a year in prison and fined 10,000 pounds plus an additional 10,000 pounds in court costs. The sentence was later reduced to 5 weeks for time already served, and a fine of 2,500 pounds. 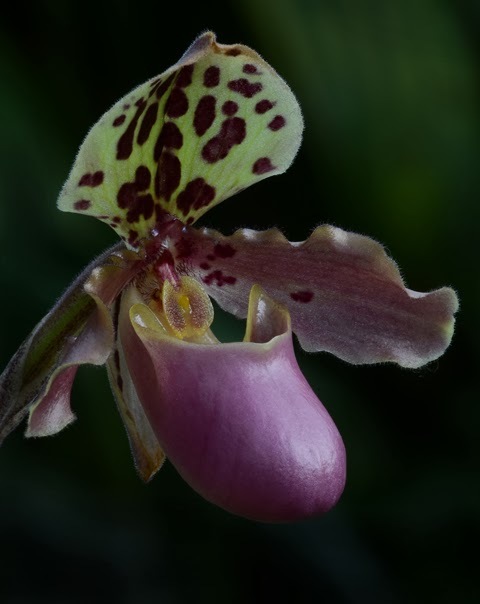 Paphiopedilum henryanum is a small plant, but its flower is totally distinctive in coloration, with bold leopard spots on the sepals and petals and a broad shiny pink pouch. It is native to southwest China and northern Vietnam where it grows in small colonies on steep limestone slopes at about 600 to 1200 m elevation. Warm moist summers are followed by much cooler drier winters. As usual a great photograph and a beautiful flower! It's great that you are posting again!